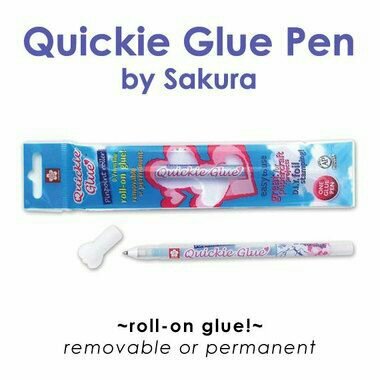 If you have never tried the Quickie Glue Pen by Sakura, pick one up NOW! This glue pen is unique in that it dispenses a fine line of glue from a .7mm ball point tip. Highlighting minute areas with fine glitter is a snap with this pen. Use it with craft foil as well! The glue flows smoothly from the pen delivering a temporary or permanent bond. I’ve been using one for a couple of years so I can personally vouch for the quality of the pen and it works EVERY TIME!